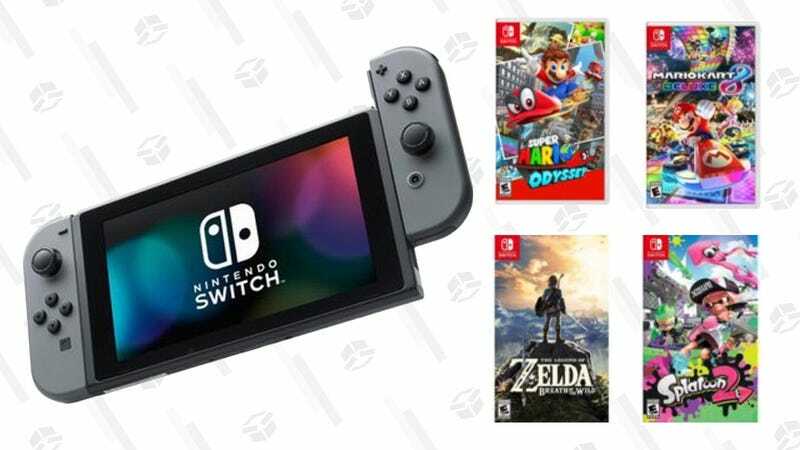 It would have been easy to miss during the Prime Day commotion, but Walmart put up a pretty enticing Nintendo Switch deal to combat Amazon, and it’s still available. For $329, you’ll get a Switch console in either grey or neon, plus your choice of either Super Mario Odyssey, Breath of the Wild, Splatoon 2, or Mario Kart 8 Deluxe. Those are all stellar games, and you’d almost certainly be buying at least one of them with the Switch anyway, so you’re basically it for half off. Need some extra storage to go with it? Here’s a really good deal on a really big card.